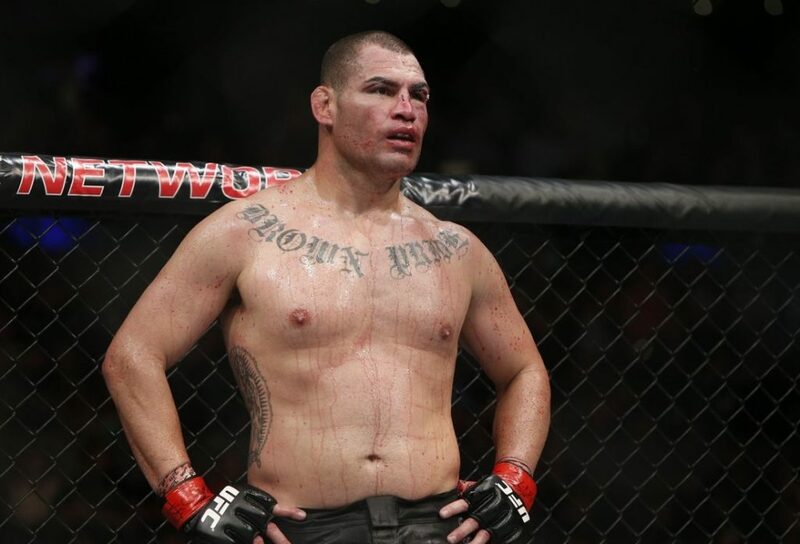 Is Cain Velasquez a lost love, or a disappointing ex-boyfriend? UFC 222 was headlined by women’s featherweight juggernaut and champion, Cris Cyborg, as she took on debuting challenger and current Invicta FC bantamweight champion, Yana “Foxy” Kunitskaya. The fight went as most people predicted, with Cyborg finishing Kunitskaya in the first round, in classic Cyborg fashion. Within the first 30 seconds of the 3:25 contest, it was clear that Kunitskaya had bit off more than she could chew. As the first, clean, overhand right landed, Kunitskaya immediately shied away in bewilderment and raised her hands exceptionally high to further protect her face. She managed to keep herself in the fight a little longer by shooting in on Cyborg and clinching with her, a move that suppressed the champion’s onslaught. However, with Cyborg having the advantage in the strength department, she was soon able to gain separation and get back to the hunt. 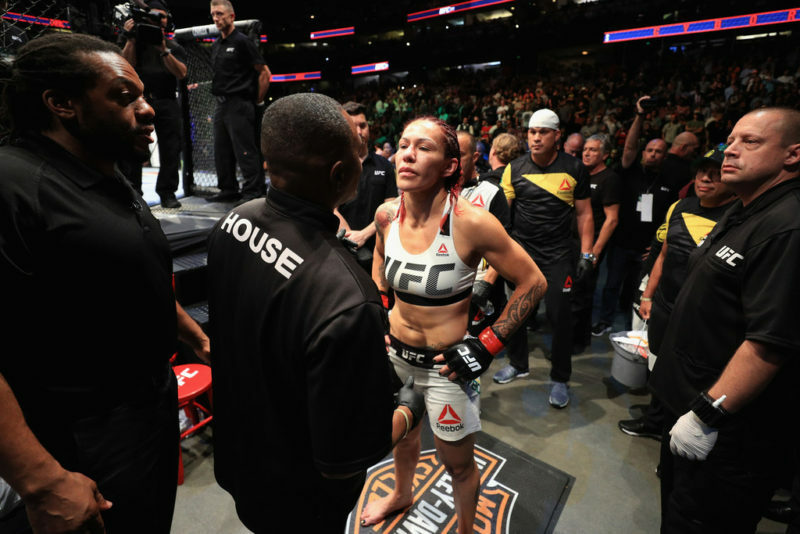 Similar to all her previous fights, Cyborg demonstrated absolute fearlessness when it came to striking exchanges and against Kunitskaya, she could smell the blood in the water. Like a Great White circling back to finish off a poor beach-goer, Cyborg engaged Kunitskaya with powerful blows; sending her crumpling to the mat. Lying helpless in the fetal position, all Kunitskaya could do was cover up as Cyborg rained down strikes until the referee stepped in to put a halt to the beating. This stoppage victory makes it Cyborg’s 17th TKO/KO and marks her 20th win in a row. Not to mention, another successful title defense; further cementing her claim as the greatest female MMA fighter of all time. Cyborg is like the women’s Brazilian version of Ivan Drago from the ‘Rocky’ movies, in that, whatever she hits, she destroys. Cyborg’s violence and laundry list of one-sided affairs makes it difficult to find her a worthy and willing opponent. 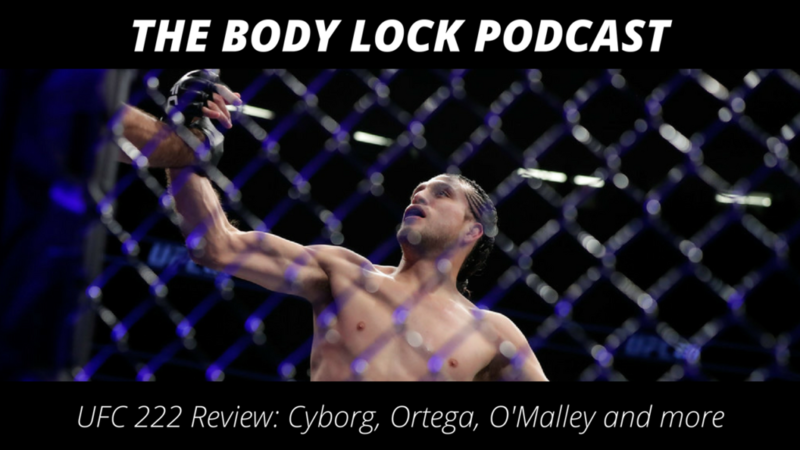 There has been a lot of back-and-forth chatter between Cyborg and the current UFC women’s bantamweight champion Amanda Nunes, which Cyborg addressed inside the cage, after her dominant win at UFC 222. 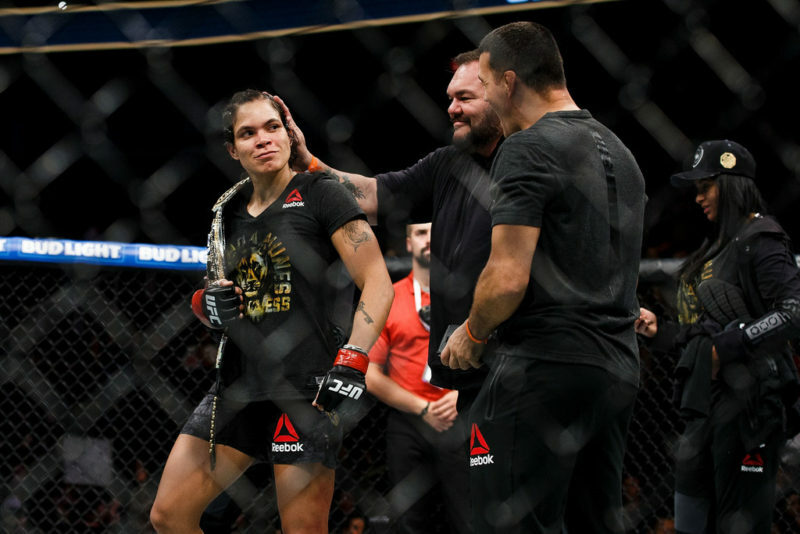 Even president Dana White agreed that the next fight for Cyborg should be Amanda Nunes. “The fight to make is her and Nunes,” White said. 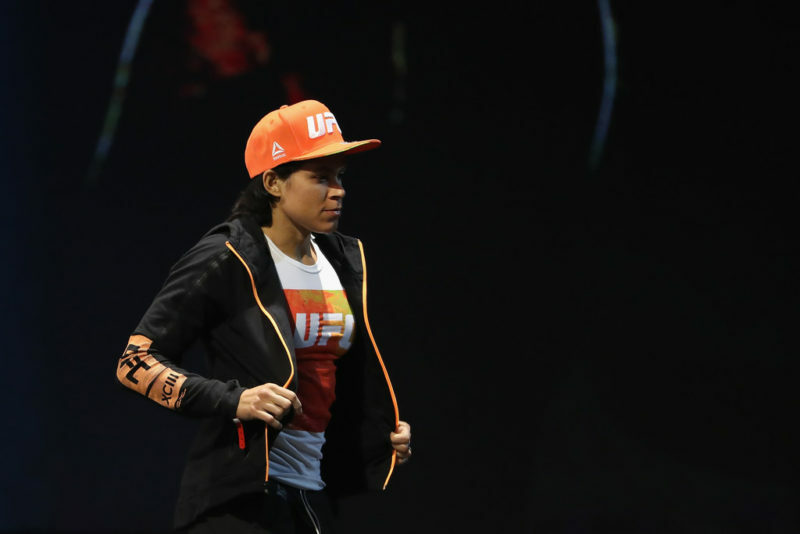 “She wants the fight, Nunes wants the fight, I want the fight, and I’m sure the fans want the fight.” And the UFC president is correct – the fans would love to see the two Brazilian, femme fatale’s square off inside the octagon. A “super fight” – champion vs. champion. 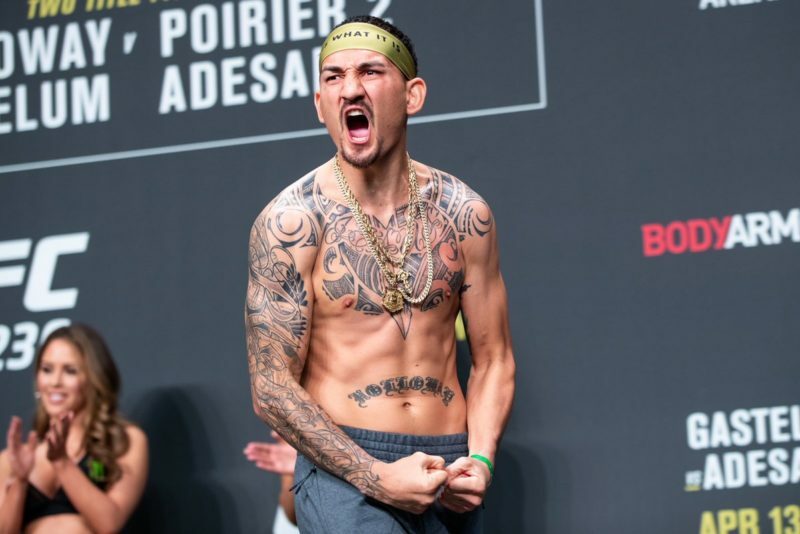 As of now though, Nunes is set to face the #2 women’s bantamweight contender, Raquel “Rocky” Pennington on the UFC 224 card on May 12. 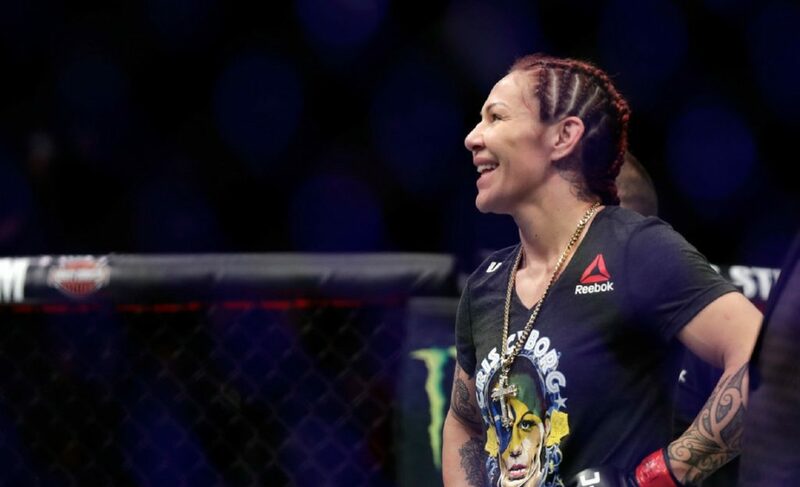 However, in light of Cyborg’s call-out of Nunes after her win, there is word that Dana White is looking to scrap the Nunes/Pennington fight to make the Cyborg/Nunes fight happen. 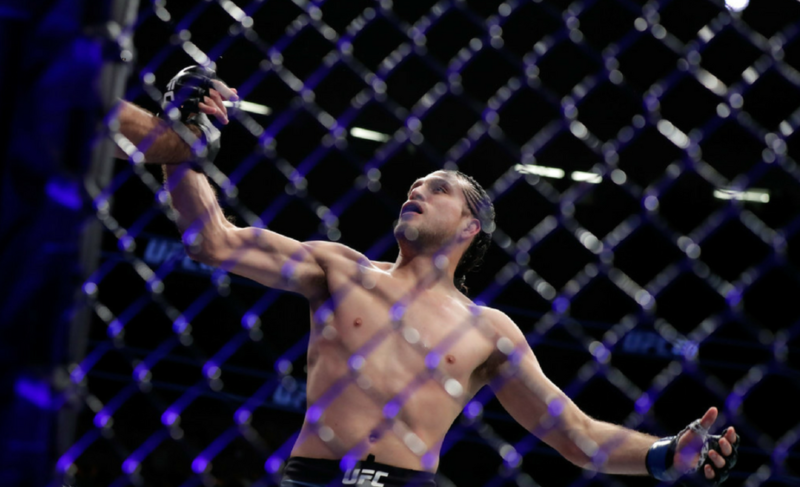 Not only that, but White is looking to add that super fight to the upcoming July 7 card, which already features the champion vs. champion matchup between Stipe Miocic and Daniel Cormier. In addition, there is the potential of another super fight between Demetrious “Mighty Mouse” Johnson and TJ Dillashaw, which is rumored to be on that same card, if the two fighters agree to terms. That fight card has insanity written all over it! In the words of the powerful Joe Rogan, “Good googly moogly!” I feel like Ricky Bobby in ‘Talladega Nights’ when he’s being interviewed for the first time and doesn’t know what to do with his hands. If all three of these fights get made for the July 7 event, then the UFC can just take my money now.